Are you yearning and longing to hold that memorable event without hiring a single event agency? Well, if so, then you are in the right and ultimate place, my dear. Here, we will perfectly outline planning strategies and tips from well-renowned experts that you can put in place to realize a successful and mind lingering event. Below are the tips. Enjoy the incredible tour tips. One of the fundamental and essential aspects that you must consider before anything else is to clarify your target. From this, all other aspects will flawlessly fall into place with respect to the format, the content, the costs and the location. Additionally, this well-organized approach will also assist you to stay focused on realizing specific set goals and also not allowing the scope to be significantly watered down. Before you commence planning a prosperous event, you have to be clear and explicit on why you are undertaking it in the first place. This is because every single and subsequent decision after that should strongly back up your main aim and goal of the event whether it’s lead generation, the creation of your company awareness, customer loyalty development, product awareness, customer loyalty development or simply making money-which is good too. When you make an ultimate decision of having an event, you have to know every little thing matters. From the logistics, lighting, refreshments, organization of program content to parking. All these aspects greatly count, and none can be left out. Notably, you should clearly remember that your targeted audience will attribute every single that takes place to you and your brand. Drafting a precise list will, therefore, safeguard you from overlooking anything. Don’t hesitate to incorporate this into your plan. Checking out the calendar is one critical and essential aspect that you must not forget while planning for your event. Use the calendar to ensure that you do not schedule the event on or even near holidays or the popular vocation junctures. Essentially, you must also confirm that you do not schedule during other events that might lure your targeted attendees. Dreamforce is one of the biggest events in San Francisco organized by Salesforce. Hundreds of events are generated around that week to capture the thousands of attendees that are coming to join this event. Work smarter, and organize faster. 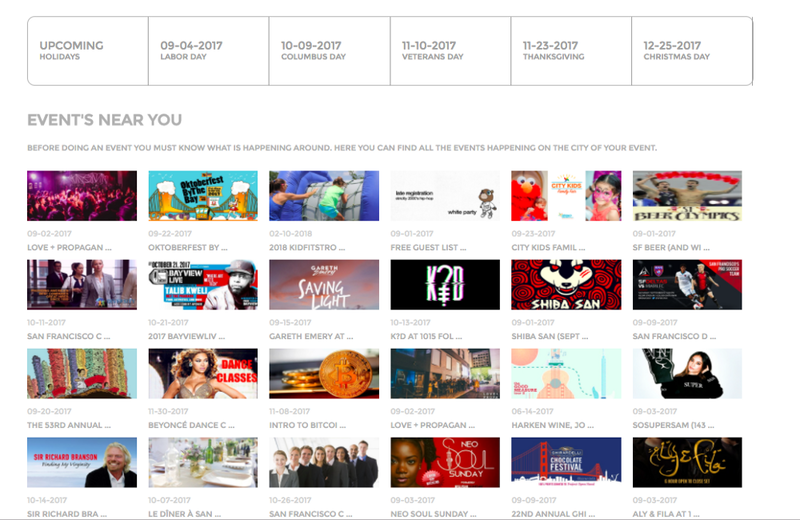 When planning an event on Youcanevent.com you can access all the events happening around yours on your dashboard. Also we’ve added the upcoming holidays to avoid unsurprising conflicts with your event success. Always begin with a well laid out strategy my dear. Just like it entirely takes to build any prosperous and fruitful business, planning an exceptional and great event starts with a powerful, well-thought and perceptible strategy. Live events are an incredible technique of sharing and showcasing your brand, connecting with your targeted market and even getting feedback about your product. The list is long. However, you must clearly know what you want to achieve and attain. Stick to the ultimate SMART goals and perfectly outline your aim. Finally, strive to achieve these goals. – Why are you having this event? 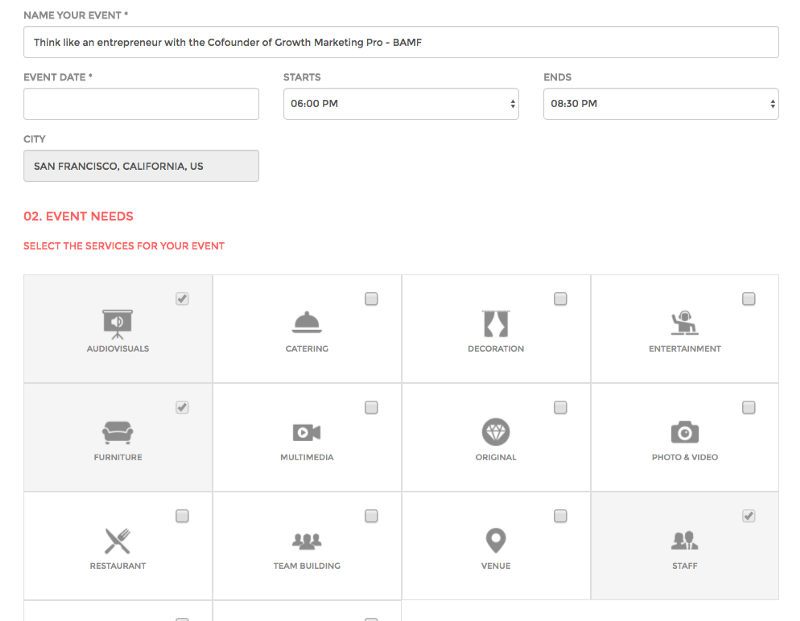 – Why are you inviting attendees to your event? – What are the key things you want an attendee to walk away with? – What educational measures (ie speakers, panelists) do you need to put in place to accomplish this goal? – Will you need speakers or any educational content to reach your goal? – If it’s a social event, what is your social goal for your attendees and how will you encourage this interaction? – What entertainment is needed to reach the social satisfaction you require for this event? – How will you specifically measure your success? Naomi Tucker, CMP 🌸 mention this questions in the article “Defining event goals and objectives that makes impact” on Social Tables. Get to know how you will finance the event. Most events are financed through sponsorships, selling tickets or internal marketing budgets. At times all the three financing strategies are combined. When you are drafting your event budget, you will have to carefully approximate the realistic amount that you can raise from your side. Notably, it is an ideal idea to start signing your sponsors first or selling the advance tickets to ensure that there exists enough interest or attraction in your idea to finance it. On Youcanevent.com you can forecast all the services that you’re requesting for your event before making any payment. Also you should negotiate with the vendor the payment milestones to have everything formalized in a contract before the event. Design an exceptional marketing plan for your event. The more well-coordinated and organized your plan is, then more successful and prosperous your event will be. We recommend you schedule a video-call with one of our event experts and get the best advice on how to do a detailed marketing plan for your event. To create interest in your upcoming event strive to hold a Google Hangout or a Twitter conversations a couple of weeks before the event. 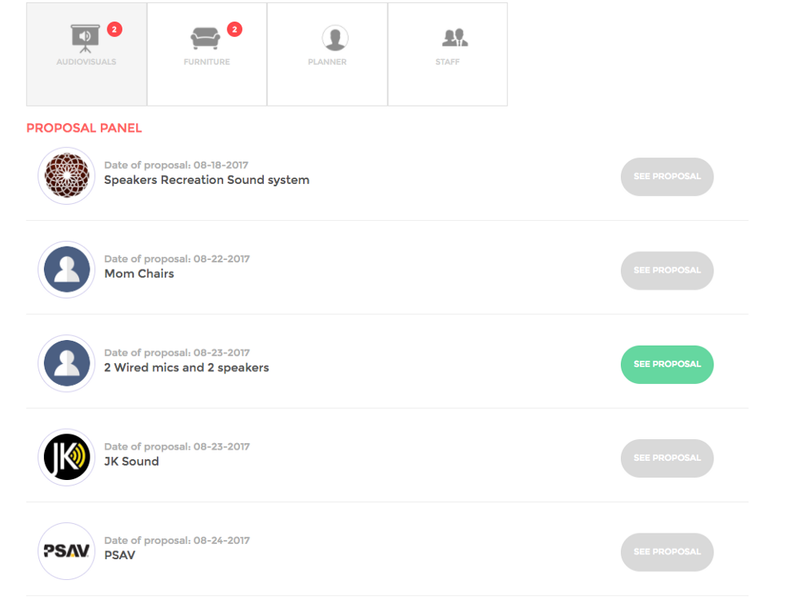 Also, take the step of inviting some of your speakers to participate in the online social event. Disclose what is to come at the main event, through the discussion of what your speakers will go through, or you can even highlight the activities. This will trigger immense anticipation. As you commence your event planning process, you may realize adjustments in size, location and other numerous ways than you initially envisioned. Don’t worry as this is inherent and perfectly fine so long as you don’t lose your focus. Some flexibility is essential. This flexibility is also facilitated on Youcanevent.com where you can always change the details of your event, and re-send your event request to our community of vendors, by changing and specifying your needs. Delegating responsibilities is a vital aspect. Having one individual in charge of every component never works out well. Where feasible, let people control and perform duties they love doing. For instance, let the gourmet in your company control the catering part. The more the person loves their responsibilities, the more they will perform them successfully. To realize that breathtaking and successful event without hiring an event agency, do not hesitate to embrace the above tips and strategies. They will remarkably be of immense help. Try incorporating them, and I assure you that the results will be excellent. 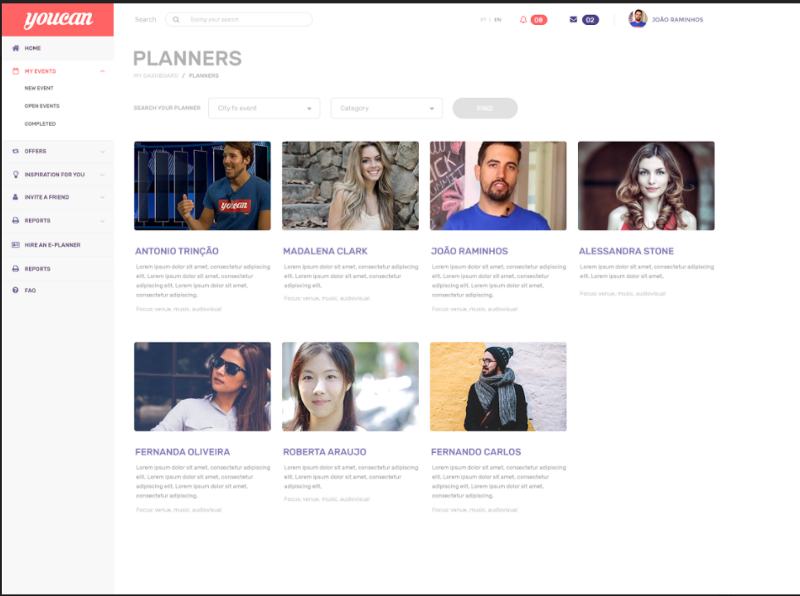 We provide you the added value that for every event organized on Youcanevent.com you get always an event planner to help you in operations and advertising before, during and event.